I love this time of year, as we countdown to Christmas and the girls get more and more excited as the days go by. I can’t help but get caught up in all their excitement. They are both at such a gorgeous age, where they both still believe in the magic of Christmas and understand it. Holly asks me every day is it Christmas yet, so I think its going to be a long few weeks for her. Whilst we are getting excited about Christmas, it never truly starts for me until after my Mum’s birthday on the 3rd December. Once we’ve celebrated her birthday, I’m like, right now Christmas can begin. This year we’re kicking Christmas off along with my Mum’s birthday. As its a special birthday for her this year, my whole family are going to Centre Parcs this weekend to celebrate and while we’re there, the girls are going to do Winter Wonderland. I’m so excited, its looks really magical at this time of year and the girls literally cannot wait. It’s going to be the perfect way to start our Christmas fun this year. I also find this is one of the busiest times at school, we’ve got the girls nativities and they are in separate ones, the school winter wonderland after school one day, Christmas jumper day, Christmas lunches, the list goes on. Trying to remember it all and making sure both girls have what they need in school on the right day! But I’m not complaining, its lovely to see them get so excited about their roles in the Christmas nativities. Alice is a mouse and has some lines to say. Holly is the star and there is a song, where she has to stand up and everyone sings a song to her. The teacher told me, she stands there with the biggest smile on her face and its so cute. I just hope she does it on the day. I know I will cry! 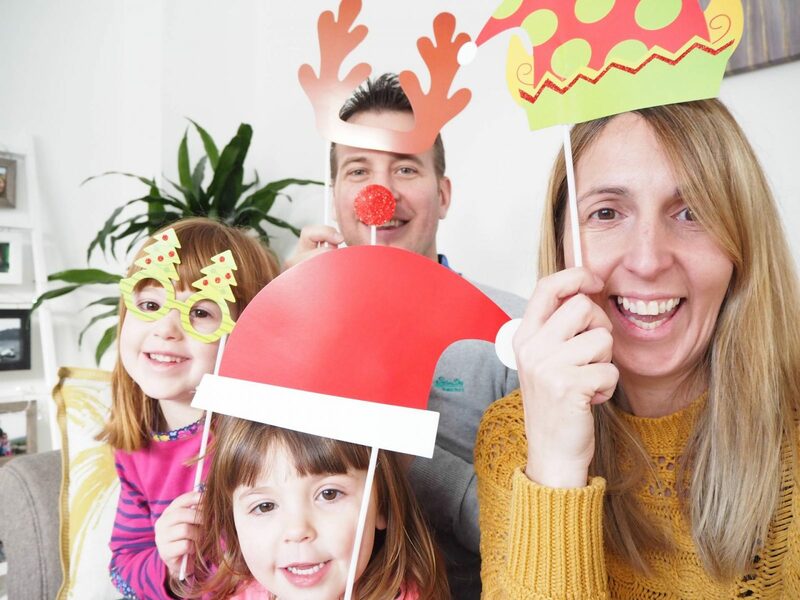 Our weekends are filled with Christmas trips out, birthday parties for the girls and seeing friends and family. I can’t wait! And as for Christmas itself, its going to be our first Christmas just the four of us. Which I’m not sure how I feel about it, but it will be fun with the girls and I can’t wait to spend 2 weeks with them home. Andy is also off for 11 days, which is going to be brilliant! Now all I need to do is get the last couple of presents, wrap them all and write the cards. Centerparcs will be fantastic (and lovely and warm inside the pool complex!) You’ll have a great time. I’m trying to get some decorated finished, so we can think about putting the Christmas tree up! We are so excited this year for some reason, tree is up and this weekend we are writing cards!! Oh you’re so organised! Have a wonderful time at Centerparcs. It sounds like the ideal way to get ready for Christmas. I’m not sure I could handle my husband being off for 11 days!